I THOUGHT that I normally use Martha Stewart’s Ginger Carrot cake recipe…I made 2 pans of 12 then realized that this is a HORRIBLE recipe. If I were a better baker, I’d know that 1 cup of oil in 12 cupcakes will produce GREASY cupcakes. The instructions said to fill to the top, so I did…they spread all over the pan and I had to cut them apart. YIKES! 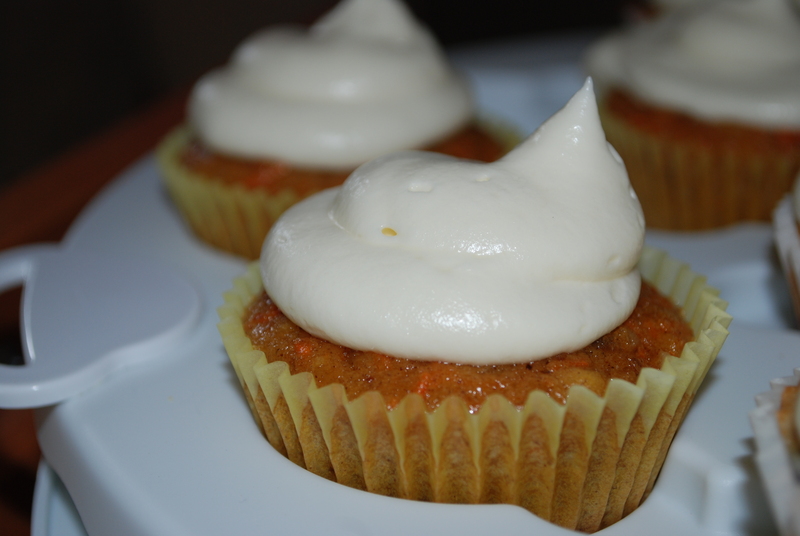 So…I started over with the correct recipe… and made some successful and tasty carrot cake cupcakes. The second cupcake was a blueberry cheesecake cupcake. 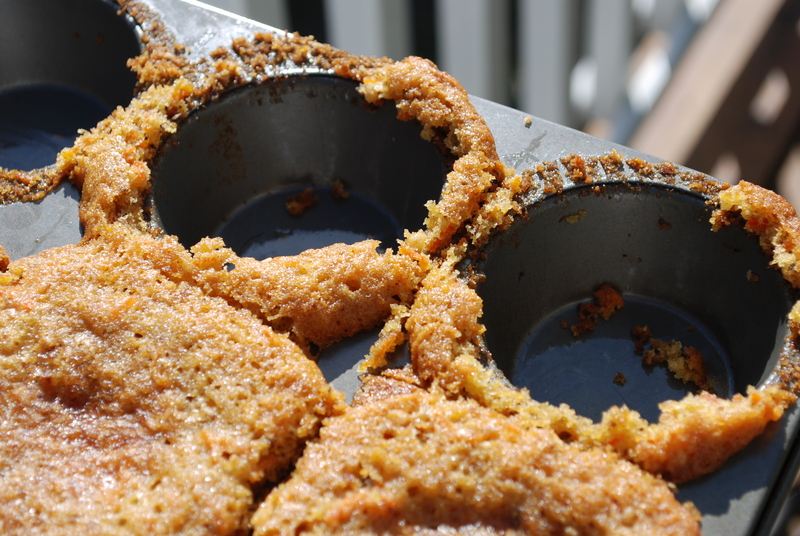 I started off with graham cracker crumbs in the bottom… I would have mixed them with butter and made a harder crust, but I forgot until right before I was ready to put the batter in. (I really don’t bake efficiently when I’m getting paid for it. I think I stress out too much.) I used a sour cream cake for the next layer and threw in some flour coated blueberries. 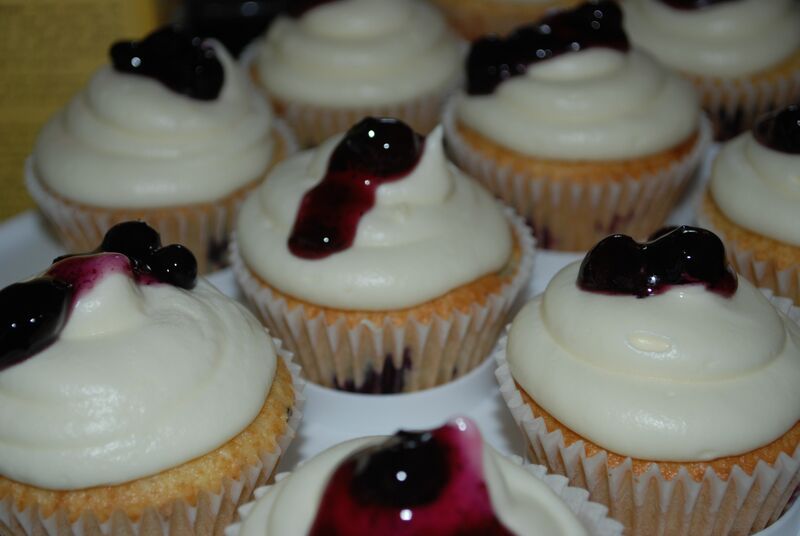 When it was done, I topped it with the same cream cheese icing used on the carrot cake and garnished it with some blueberry pie filling. 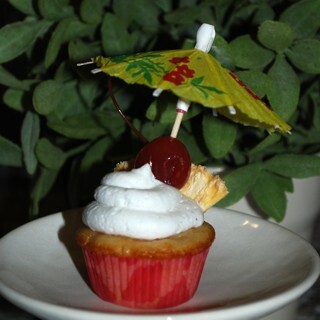 They were a hit at the shower! Angela is scheduled to be induced today. Heres wishing that she and new baby Cole are healthy and happy.